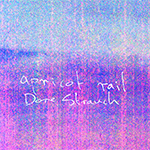 We’re excited to send you the new freely downloadable single and music video from Australian majestic pop instrumentalists Apricot Rail. Taken from their latest album Quarrels (mixed by Scott Solter), ‘Dore Strauch’ is an incandescently beautiful track, featuring cascading glockenspiels, haunting guitar arpeggios and rhythmic eddies, stirred into confluence by gorgeous updrifts of woodwind melody. The accompanying video directed by Jules Gay and shot in various locations in Germany, including Berlin depicts a young woman’s hallucinogenic journey through both forest and city, through colour and monochrome, between memory and the now. This music transcends fads and trends to appeal to anyone drawn to beautiful, supple songcraft. You can download the track here, check out the stunning album this track is cut from here, read a full press release here and check out the video at Vimeo and Youtube.